Recently, Star City High School has had two different guests visit the school, a comedian and a magician. 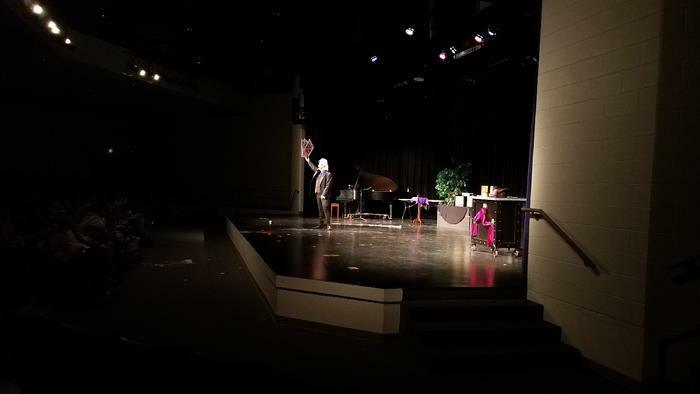 Both performances were enjoyed tremendously by students and staff, alike. 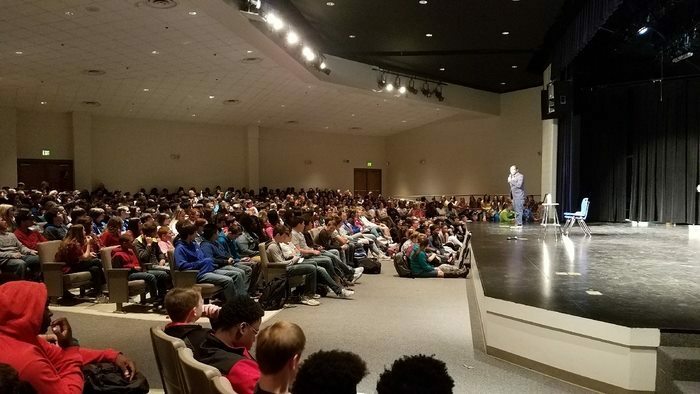 On Tuesday, April 3, a comedian came to the high school and performed for the high school and middle school. To gain entry to the show, students donated two canned goods or one dollar. All of the money and canned goods collected were given to the Lincoln County Food Pantry, located in Star City. 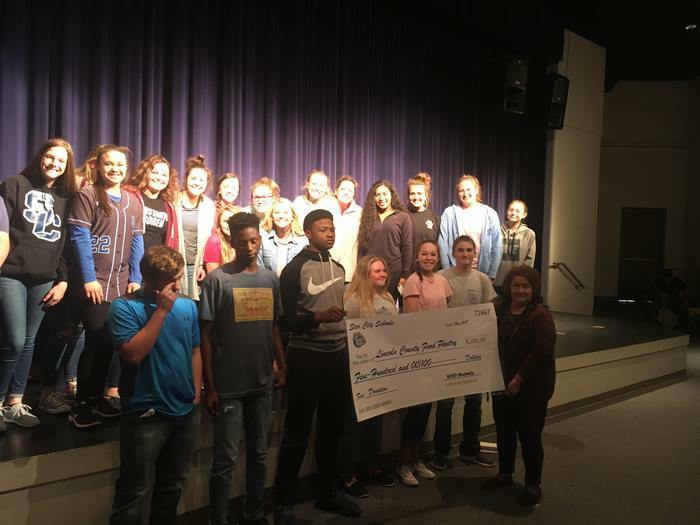 Almost every student from both middle school and high school made a donation and participated in watching the show. In addition to enjoying the show, students were also enlightened, helping them stay positive throughout the busiest time of the year. This event raised $500 dollars, which was donated to the food pantry. What a great service accomplished by the students of SCHS and SCMS! Then, on Tuesday, April 17th, Star City High School had another guest. The magician, Maxwell Blade, performed a magic show for students and staff. Sponsored by SCHS Art Club, Maxwell Blade performed many neat tricks, which left the kids intrigued. Students thought the magic show was a very fun experience, and some of the students got to meet the magician. Both of these events allowed the kids to get a healthy break from classwork, reminders of their goals, and a chance to add more laughter to their days. SCHS continues to provide opportunities for students to enjoy multiple areas of their school year.